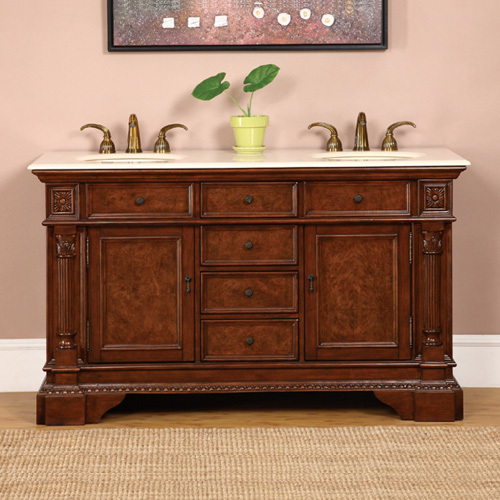 The Aragona Double Bath Vanity is a handsome centerpiece for any master bathroom. It is hand crafted and painted, which makes each Aragona unique. The Cream Marfil Marble top comes with two under mount ivory ceramic sinks, and they are also pre-drilled for faucet installation. Four drawers and two doors with shelves provide storage and organization. 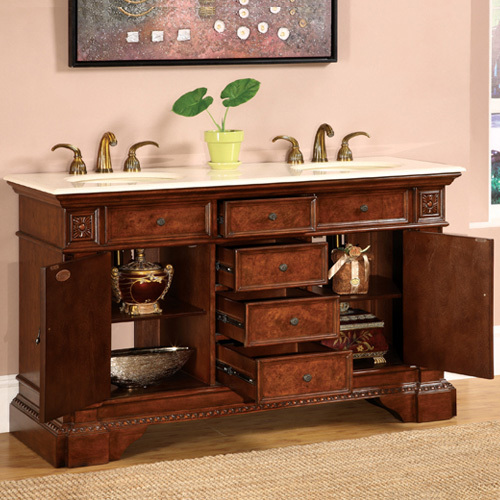 This double vanity features a lot of intricate detail and will bring character to your bathroom. Faucets are sold separately.